38 weeks and still going.. – it's a mums word.. So I have almost reached the home straight, but no signs of baby just yet.. Although, I have finally encountered swollen feet and as of today we now have a baby car seat (hooray). The reason for the swollen feet is my very active weekend for my cousins wedding. 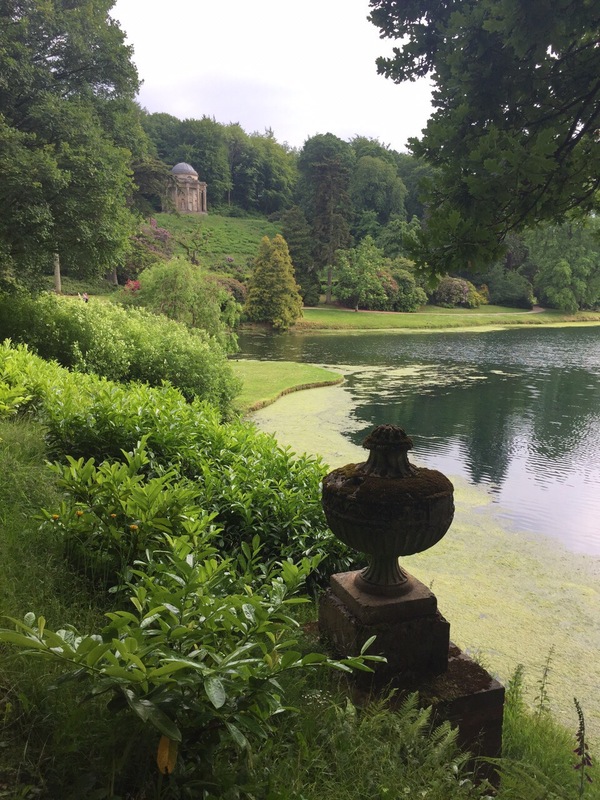 We travelled down to stourhead in Wiltshire (hospital bag in tow) on the Friday afternoon, and the horrendous rain did not bode well for the wedding the next day. I was lucky enough to be staying in a Natural Trust Cottage with the bride and two of the bridesmaids on site, which was lovely and quaint. Despite the rain, we decided to take a midnight stroll to check out the marquee which had already been set up for the reception the next evening. It looked magical, with lots of mood lighting, and quirky decor, making us all even more excited for the next day! 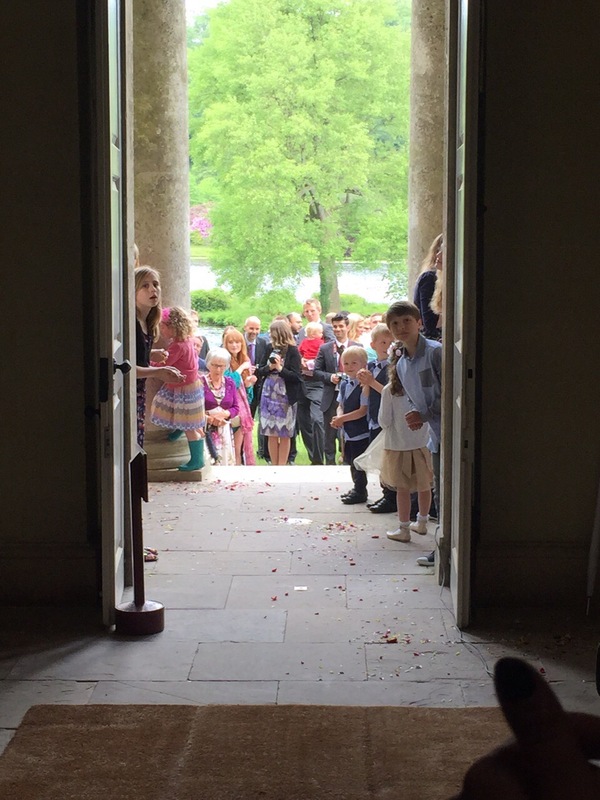 On the morning of the wedding, we enjoyed a lovely full English breakfast with all of the other guests that had stayed on site at the Spread Eagle Inn, and then excitedly went our separate ways to get ourselves ready. I opted to wear a bright blue summer dress (dress details on previous post about my maternity shoot) with flat sandals, due to the rain the day before I didn’t fancy heels and my other dresses were too long for flats. And I am so glad I did! 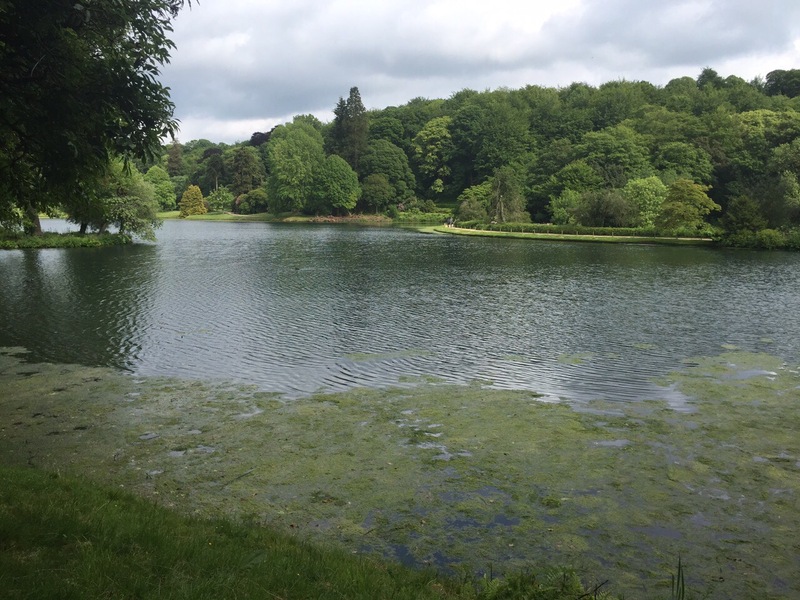 As the day involved lots and lots of walking around the beautiful grounds at stourhead. 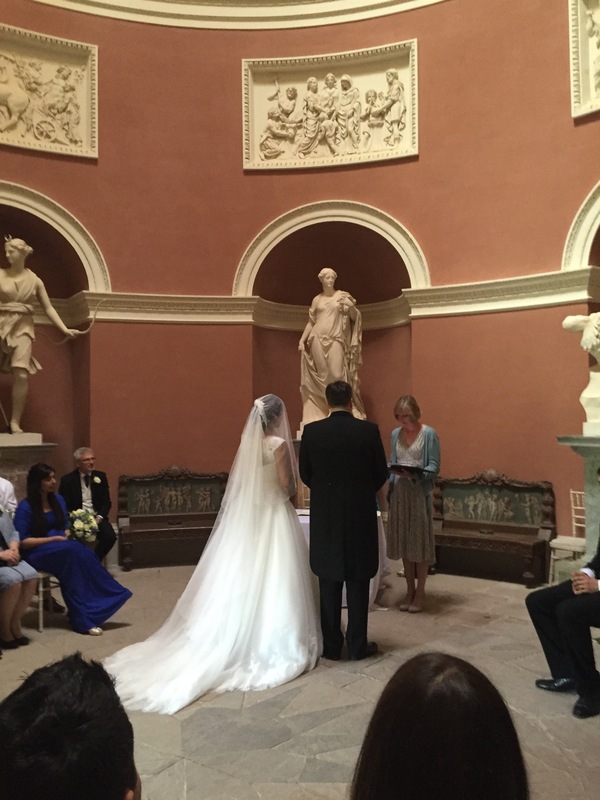 The ceremony took place in the Pantheon, which was built in 1753 and modelled on the Pantheon in Rome. It’s a beautiful little building which is visible from across the lake when you first enter the gardens. Enroute we also walked past a waterfall, not something I have seen in the UK before! Just as the bride and groom had said ‘I do’ the sun came out just in time for some lovely photos outside the Pantheon and lake, it really was perfect timing. 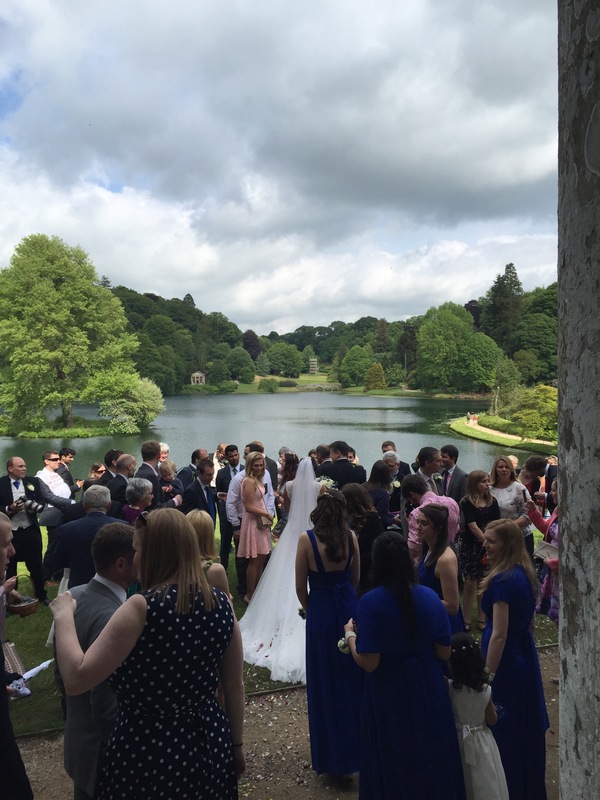 All of the guests then took a stroll around the gardens, stopping in the grotto for a drinks reception, ending up on the other side of the lake for canapés and more photographs. The sun stayed shining and it was a lovely and relaxed atmosphere, I was amazed when I realised it was 6pm already (and took a quick opportunity to go back to the cottage and freshen up a little). 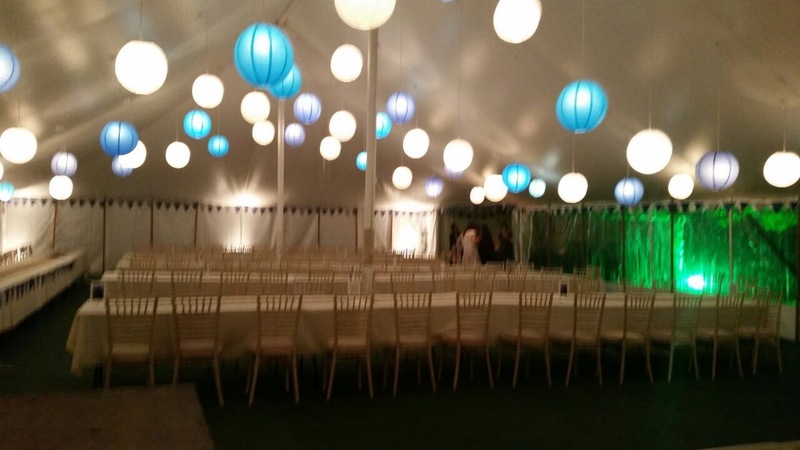 We then moved over to the stable yard to the Marquee where the evening reception was to take place. By this point my feet had ballooned so I had decided I would be staying in my seat for the rest of the night. The evening began with some traditional speeches, I particularly enjoyed my uncles ‘father of the bride’ speech which made us all a little emotional. Dinner was traditional roast lamb with lots of trimmings and was yummy!